All the differences we've described in our article String vs StringBuffer also apply when we compare String with StringBuilder class, as StringBuilder and StringBuffer class are quite similar. 1) A string created by String class is immutable i.e. it's original value can't be modified. But a string created by StringBuilder class can be modified easily, hence it is mutable. 2) Trying to modify a string created by String class does not modify it but instead a new string is created, which leads to memory waste, but no memory is wasted when a string created by StringBuilder is modified. Let's understand these differences. 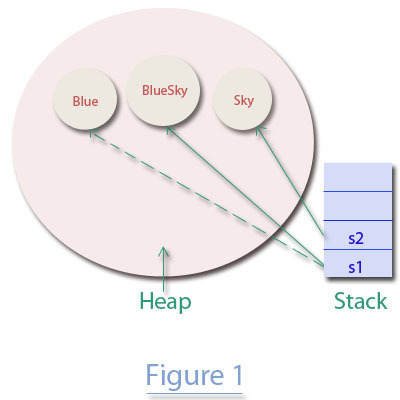 Figure 1 represents the Heap memory after executing the above three statements. Dashed line indicates a deleted old reference. 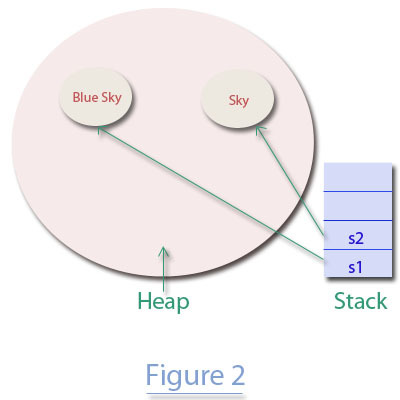 Statement1 creates a String object Blue, it is initially pointed by reference variable s1. Statement2 creates a String object Sky, pointed by reference variable s2. Statement3 calls concat() method to modify the String pointed s1 by adding String pointed by s2 to it. Doing so gives us a new String object BlueSky, now pointed by s1. The original string Blue which we wanted to modify is not modified, proving the point that String objects are immutable, moreover String object Blue is now not even referenced by any variable(see Figure 1), leading to memory waste. The memory waste doesn't happen when we try to modify the strings created by StringBuilder class because StringBuilder works directly with original object to modify it. Figure 2 represents the Heap memory after executing the above three statements. Statement 1 creates a StringBuilder object Blue, referenced by sb1. Statement 2 creates a StringBuilder object World, referenced by sb2. Statement 3 has modified StringBuilder object Blue by appending Sky to it, giving us the modified StringBuilder object BlueSky. There is no loss of original object as we have modified the original StringBuilder object. We have created a StringBuffer object that points to a string of characters Never . We have called append() method to append a String Give up to our StringBuffer object.